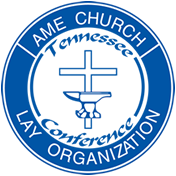 The purpose of the Lay Organization is to organize and train the lay members of the A.M.E. Church, so that each member may utilize to the maximum the abilities and skills granted by God, in assisting with the improvement and extension of God’s kingdom, and creating happiness, peace and harmony among its members. In Thy blessed name O God. Let us keep our armour bright.